Is it time to replace your old dishwasher? It’s better if you don’t do-it-yourself. Call us to make sure the job is done professionally: safely and right the first time. We start every job with a drainage system inspection to ensure that it’s compatible with the dishwasher we selected. If the plumbing system needs to be upgraded to connect to the dishwasher, we can provide that service as well. Installing a dishwasher is a serious job. You should engage a licensed plumbing professional for the installation. They should systematically install the appliance, making sure to secure and double check connections. This will minimize the risk of certain avoidable problems in the future. To install a dishwasher, a plumber needs the understanding of water pipelines, drain, and electrical systems. Lacking knowledge of any of these systems can damage the appliance and the electrical system, and flood your house. It may also cause injury through electrical shock. Our licensed experts will use the best tools to make sure each level of installation is correct the first time. Doing it this way will save you money on maintenance costs. There are a couple of factors that you will need to consider when calculating the cost of installing a dishwasher. Whether the project is a new install or a replacement will affect how much work needs to be done. The type of work to be done determines what costs will be applied. Installing a dishwasher for the first time will be more expensive than a replacement. Your certified plumber will have to make connections to your fresh water and sewer pipes, and to your kitchen’s electrical system. They will also need to cut holes in your wall for these lines to run through. Your countertops may need to be changed out as well to allow the appliance to fit better. Performing a replacement is generally faster and less expensive than a new installation. The connections are already present and usually in the correct location. Provided the correct size dishwasher is selected, the replacement installation should not require new connections. 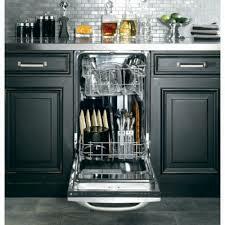 Our team will handle all the troubleshooting involved in making sure your dishwasher is installed correctly. We’ll modify your countertop and perform small repairs as necessary. What Can You Expect When We Do Your Installation? You receive a fair and honest quote before any work begins. Our workspace is kept as neat and contained as possible. We will restore our work area to be as neat as we met it. Our strengths do not only lie in plumbing. We can also help navigating the insurance companies and bureaucratic red tape. You will receive all the necessary permits for our jobs. We will guide you through the City of Ottawa rebates for which you qualify. Our customers love us, and our work is the best quality. Stop by our testimonials page, and then give us a call. We’ll set up your free, no-obligation inspection for dishwasher installation in Ottawa.